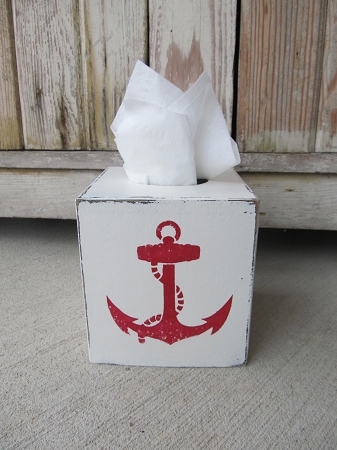 Nautical Beach Rustic Ship Anchor Hand Painted Tissue Box Cover. 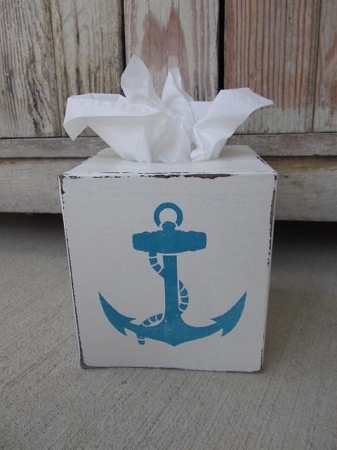 Love the nautical design on our signature hand painted tissue box covers. This one I've painted with the marshmallow colored background and a navy blue ship anchor painted on. 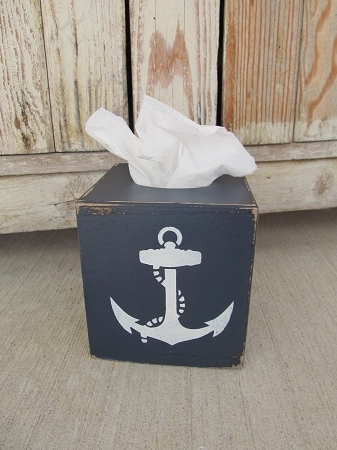 The whole tissue has sanded edges and top for a rustic worn look. Sealed with a matte finish sealer. 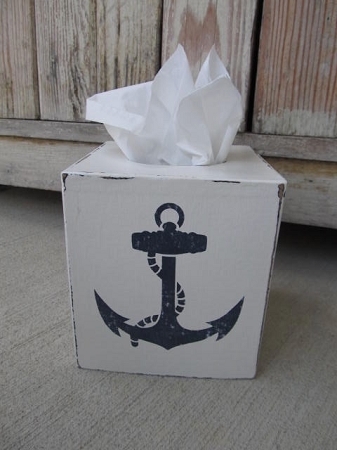 This style cover uses the boutique style kleenex boxes. Size is 5"x5"x5". Hand painted, designed and signed by Heidi. Some other color options are available, pick your favorite. Featured in the Country Sampler Magazine.